I cannot even begin to count the number of times a week people call my office and ask what they should do because they think the cops are looking for them. The answer depends on what happened and why the client thinks he or she is wanted. For instance, yesterday someone called me concerned because police outside of an infamous massage parlor spotted his car and left a message for him to call them. Last week another man called me after the police went to his house and talked to his wife about a hit and run accident involving his car. Today, someone called my because he heard that there might be a warrant for his arrest out of a particular town and he wanted to know what to do. This post discusses some thoughts I have what to do in Massachusetts if you think the police are looking for you. When people hear that the police are looking for them they get scared even if they never committed a crime. Unexpected police visits to a home or workplace are intimidating. This is not something that you typically expect so naturally you would think there is a problem. Your natural instinct might be to talk to the cops to see what they want. After all, you might be able to extinguish the matter with a quick conversation, right? Think again. The police have no obligation to tell you why they are asking the questions they are asking. If they are at your home looking for you they have some information they are acting on. Their questions are designed to elicit the response that they want, not necessarily the truth. You might think that their show of authority demands a response from you but it doesn’t. YOU ARE NOT OBLIGATED TO TALK TO THE POLICE. So don’t do it without legal representation. Take for example the first call I discussed in the top paragraph of this post. The police who contacted the man whose car was outside the massage parlor had no information about him being there. They took his plates and ran them only. If they had no concerns about illicit activity then why run his plates and contact him? Obviously they wanted him to talk to them, admit to being at the establishment and confess to having engaged in unlawful activity there. Say nothing and you won’t have a problem. And guess what? He never talked and no charges have been filed. Now look at the man whose car was identified as having left the scene of an accident. He said nothing. No charges will be filed. At least none that can stick. No one is able to identify who was driving. If he talked, he might have admitted to driving and put himself at risk of having to defend a serious criminal complaint. What About Rumors of Outstanding Warrants? 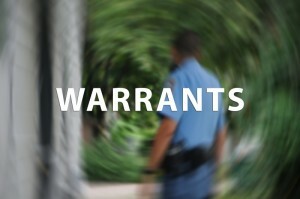 If you think there is a warrant out for you you need to hire a criminal defense lawyer. The lawyer can call the police detective involved in the case and make inquiry about any pending criminal charges. Unless they fear flight, the cops will let the lawyer know that a warrant has issued. You can then surrender to the court or police with your lawyer. This will improve your chances of getting a reasonable bail. Even when the police don’t tell the lawyer about the warrant and make an arrest your lawyer can argue that you were not hiding are attempting to evade prosecution but that the cops were acted maliciously by refusing to disclose the existence of the warrant and permit a peaceful surrender. Anytime the police are looking for you you should hire a lawyer. The Law Offices of Stephen Neyman, PC has been defending the accused for nearly thirty years. We have secured freedom for thousands of people for years. Call us at 617-263-6800 or send us an email. Lets get started on your case now.